Undergraduate Programmes (Levels 6 to 8) in adult literacy, adult and further education and community education and development. Initial Teacher Education Programmes (Levels 8 & 9) focusing on the formation of teachers and educators for the FET sector. Both the BA (Hons) in Teaching in Adult and Further Education and the Postgraduate Diploma in Teaching in Further Education are Teaching Council-approved teacher education qualifications (TEQ) for practitioners working in the FET sector. Postgraduate Programmes (Level 9) in teaching and learning and management in education. Both programmes are designed to develop participants’ knowledge, skills and confidence to become positive and effective change agents within their own educational setting. We have a deep respect for and understanding of adult learners and our primary focus is to support, encourage and guide our students to academic success whilst enhancing their career opportunities. We hope that you find a programme or pathway of study that meets your education needs. This is a third level qualification for current adult and further education practitioners and those wishing to pursue a career in adult or further education. This includes those currently working in adult basic education, further education and training and community education. 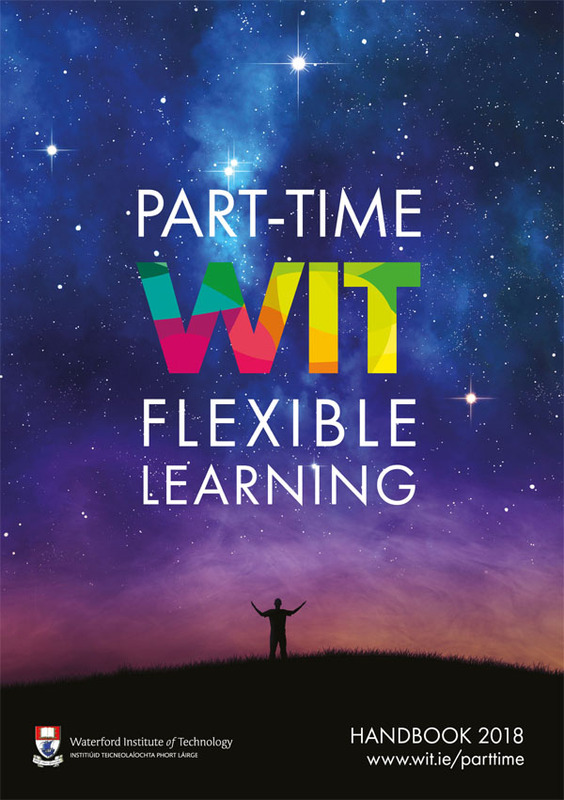 It is a modular part-time programme with a delivery model that facilitates the working practitioner that is based on weekend teaching blocs and use of the WIT virtual learning environment. This is a third level qualification for those working in adult literacy or those wishing to pursue a career in adult literacy. The aim of this two year programme is to enable adult literacy personnel to explore theories which underpin various aspects of adult literacy and adult education practice, while enabling them to evaluate current scholarship in literacy.he programme has been developed in conjunction with NALA to ensure it is relevant to the current developments in the sector and that the programme consistently meets the standards required for literacy practitioners. This programme is designed for practitioners in the Adult Education sector and includes aspects of adult education research, policy, equality and technology. The aim of this course is to facilitate students to develop their skills, knowledge and attitudes in order to work as reflective practitioners in community education and community development settings. The BA (Hons) in Community Education and Development aims to further develop students' knowledge, skills and self-efficacy as reflective practitioners in community education and development work practice. This programme has been designed to meet the needs of people who are working within the Further Education sector and who wish to register with the Teaching Council of Ireland as a Further Education teacher. The course is a professional qualification, recognised by the Teaching Council of Ireland, designed to provide participants with the skills, knowledge and competencies required to teach in a variety of settings in the Further Education sector. This programme provides an opportunity for participants to develop their knowledge and skills in educational leadership including planning, HRM, finance, leadership, ICT and law.